A beautiful, well taken care of piece of property can be a source of pride for most people who own a large piece of land. Trees are a wonderful way to make your property absolutely gorgeous, however, they can also lead to a plethora that can put your beloved property in danger. Which is why it is essential to allow a professional tree trimming service that you can trust to make sure that the health and flow of the trees on your property is going smoothly. At Trust Your Way Tree Service we provide our customers with top-notch tree trimming service that is unmatched due to our dedication to quality and the safety of our customers. Read on to learn more about Your Way Tree Service and see why our tree trimming service is considered the very best in the Brentwood area. Trees are an incredible ecological accessory to any piece of property. 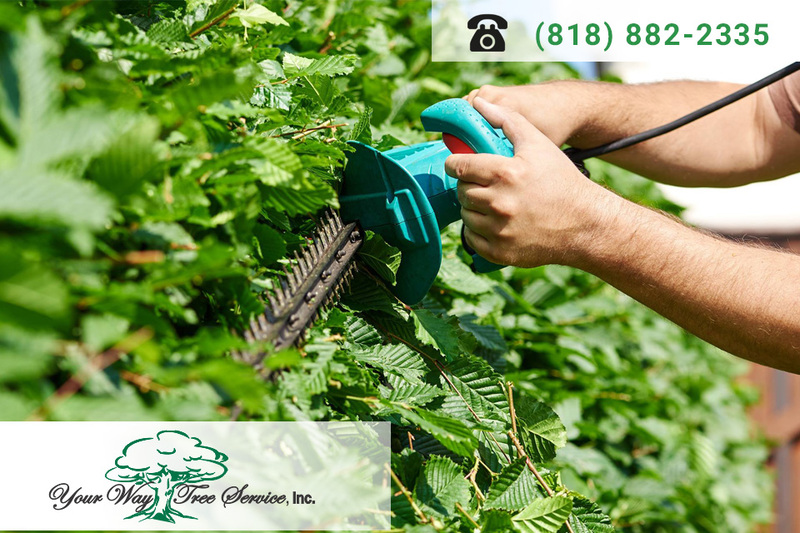 Trust Your Way Tree Service to provide you with top of the line tree trimming service for your Brentwood property that will be sure to make your neighbors jealous. Call 818-882-2335 for a free estimate today! It is never too late to invest in the beauty and well being of your property, start today!